There was great excitement when the brand new sleek laptops were first opened up in 6th Class the week we returned to school.  The laptops had been prepared for use by Matt Gallagher, IT Specialist, who ensured the necessary software was uploaded and all models had internet access. 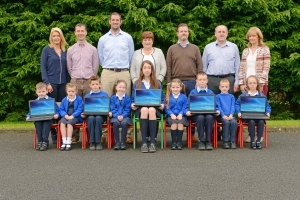 Over 15 years ago the school was very fortunate and grateful to receive funding for its first set of laptops from a local man, Tom Flatley (RIP), living in America at the time. These laptops have served the school very well over the years but were no longer fit for purpose in the last year. A decision was taken to replace them if it would be possible to source funding. Schools have become very dependent on fundraising initiatives to meet costs and St. Aidan’s is no different. We have a wonderful Parent’s Association who support every aspect of school life and regularly host events in order to raise funds for the school. This project, however, was much bigger and could only be made possible with the backing and support we received from Gary Smyth, Heneghan’s Pharmacy and Ronan Egan, Genfitt. 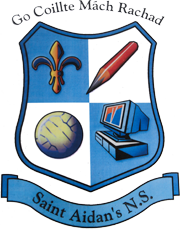 We are extremely grateful and cannot thank them enough for their support towards the education of the pupils of St. Aidan’s. Their gesture is ‘community spirit’ at its best in Kiltimagh. While the senior classes will engage in research and project work as well as working on educational sites, all classes will be given the opportunity to learn keyboard skills and complete tasks using the laptops. We look forward to using this very worthwhile resource for many years to come.